Marcus Jones, the city manager in Norfolk, has enjoyed a rather extended honeymoon in his relationship with council. It seems that period has come to an end, with four members of council – that’s half, by the way – taking issue with him in Tuesday’s meeting. 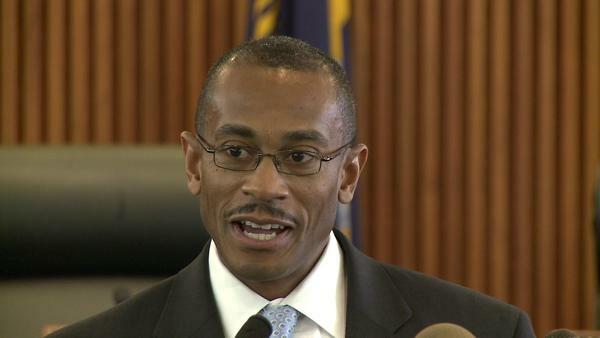 Jones has been on the job since February 2011. Now would be a good time for Jones to polish his resume. When public hits like this start, it wont be long before others come. For the council-watchers out there, you’ll know the end is near when the mayor joins the chorus. I’ve always liked Jones, even if he has always been a little too close to the mayor than I would have liked. The hits he took are reasonable ones – and I’m glad to see council actually doing their jobs. Now – somebody explain to me how it is possible for the city to issue a check for 100 times more than it should have been and the city not uncover it for three months? Are you kidding me? What kind of controls over OUR money are in place in City Hall? From the looks of things, not many. I’m not sure this event should be considered fatalistic to his keeping his job (Disclosure: I like him and know him personally). This type of accountability is refreshing amongst this group. Every meeting should not be “hunky dorey” or whatever the phrase is. Perhaps that tenor of discussions will change how other activities, actions or responsibilities are governed. This council has in the past kept silent on too many issues. Maybe this level of responsibility will find it’s way to being the norm where the council is more responsible to the needs and voice of the residents and the residents are more responsible to the privilege of living in a democratic society right here in Norfolk Virginia. Didn’t say it was fatalistic. But it marks the beginning of the end. I’ve watched it happen with previous managers: once council starts challenging them like this, it is just a matter of time. Could be 3 years, could be 1. But it’s coming. I see the realities of it al. Would be nice for some accountability and longevity…. I was going to observe that it’s simply the way of the world that city managers aren’t fired only if they resign to move to a bigger city first, but then I remembered that Jim Spore has held his post in Virginia Beach since before I could drive. Spore is definitely the exception. Seems like most of them leave one step ahead of being fired.